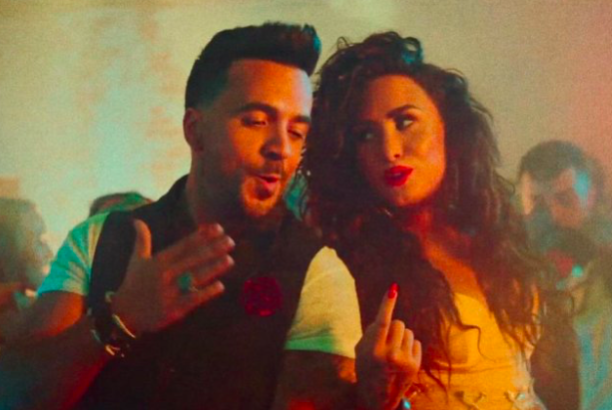 YouTube has released the official list of the new Latin videos that have reached the billion views, with the 40-year-old Puerto Rican singer-songwriter’s collaboration with Demi Lovato making the grade. It all started when “Bailando” by Enrique Iglesias featuring Gente de Zona and Descemer Bueno reached the coveted figure in 2015. Then, in 2016, four new videos joined the list: Shakira‘s “Waka Waka (This Time for Africa),” Romeo Santos with “Propuesta Indecente,” “Ay Vamos” by J Balvin and Jennifer Lopez with “On The Floor” featuring Pitbull. In 2017, everything changed. After the overwhelming success of Fonsi and Daddy Yankee’s “Despacito” clip — currently the most-viewed video with 5.7 billion views — 17 more videos (including “Despacito”) earned access to the famous list. Among those videos are “El Amante” by Nicky Jam, J Balvin‘s “Mi Gente” with Willy William, Daddy Yankee’s “Shaky, Shaky,” Maluma‘s “Felices Los 4,” and his collaboration with Shakira, “Chantaje,” among others.